Pop 6 quarts (24 cups) of popcorn into a huge bowl. Melt butter. Stir in brown sugar, corn syrup and salt. Boil 5 minutes without stirring. Remove from heat. Stir in soda and vanilla. 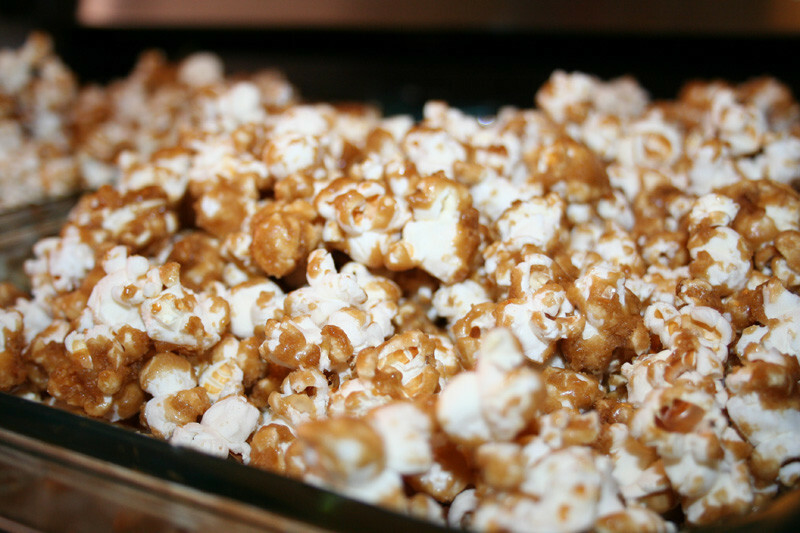 Gradually pour caramel over popped corn, mixing well. Turn onto 2 large, flat pans. Remove from oven, cool completely, and break apart. 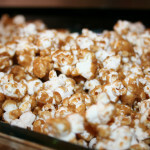 This recipe makes a dry, crispy caramel coating on the corn. It's rather addictive.